The sloop Cinnabar is an example of a late cruising design of the Boston designer, John G. Alden. In response to requests for a smaller version of his well-known seakindly Malabar Schooners, Alden's office came up with a 29' 6" sloop/yawl rigged small cruiser retaining the hull type of the larger Malabars. 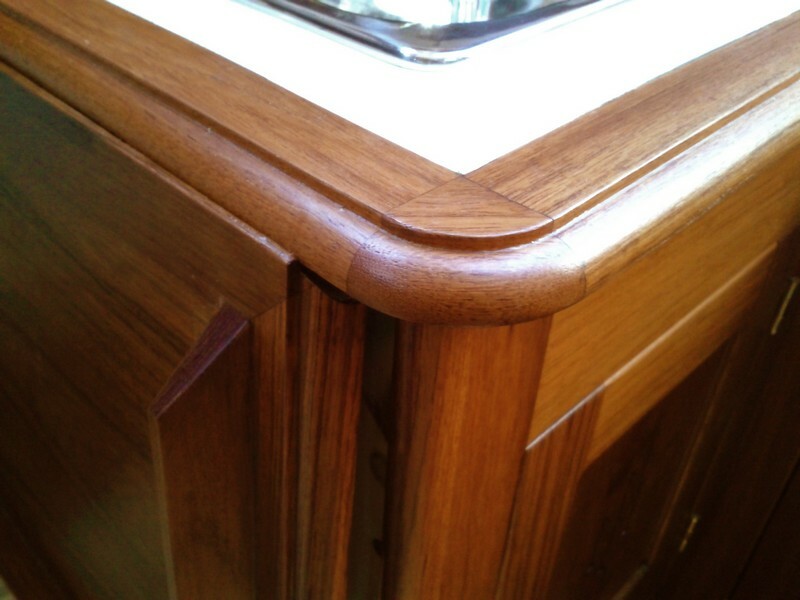 The designed was said to be influenced by the Friendship Sloop given that she had a springy sheer, high bow, flat floors and powerful quarters. As with the Friendship sloop, she had a beamy hull for her time and was well able to stand up to her sail in a breeze with lines fine enough for an easy motion in a seaway with the ability to claw off a lee shore in a gale. 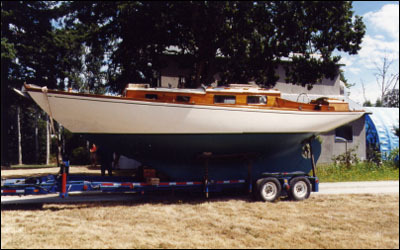 Sixty-six of these pretty yachts, called Malabar Juniors, were built between the years 1925 - 1963 to six progressive designs beginning with simple, elegant, inexpensive workboat types to more expensive yachtier types having longer ends and higher freeboard with improved accommodations. The design lines of Cinnabar, the final lines drawn as Malabar Juniors, were drawn in 1944 by Carl Alberg with a modification in 1947 to accommodate an iron keel. From a total of 16 sisters, Cinnabar was first of three built outside North America at the Wing-on-Shing shipyard in Hong Kong. She was ordered by the Kendrick family of San Diego in 1958 and upon completion, ten months later, christened Oasis and subsequently carried across the Pacific as deck cargo on the S.S. Bronxville to receive her fitting out in San Diego. 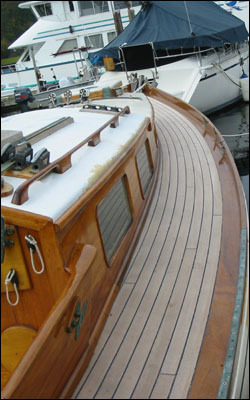 Her dimensions are 32' 6" on deck, 22' 8" on the waterline, and an 8' 8" beam with a draft of 5'. 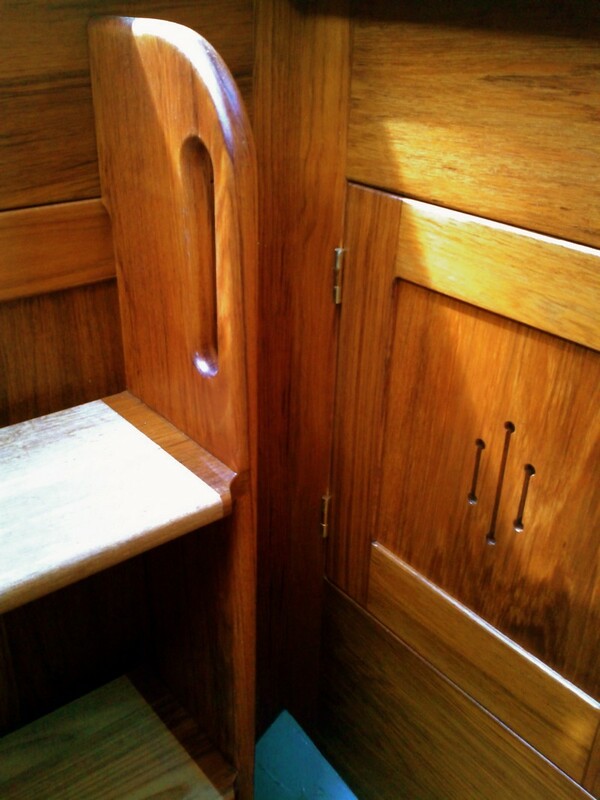 She is carvel planked with teak and fastened with silicon bronze to ipol frames and the larger timbers consist of yacal and iroko. An external iron keel of 5000lbs balances her total weight of about 13,000lbs. 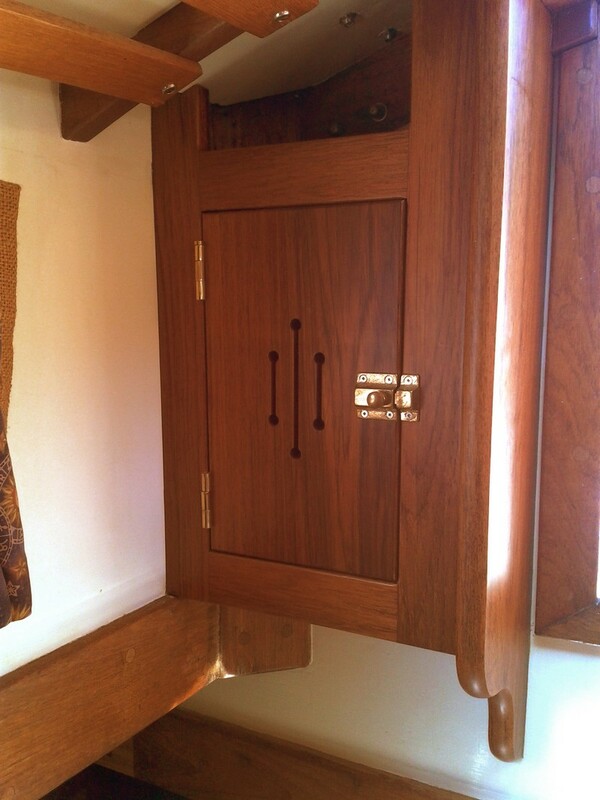 Her original Sitka spruce mast and boom have been replaced in 1985 with extruded aluminum spars refurbished and modified to conform to the original sail plan and fractional rig specifications in 2003. 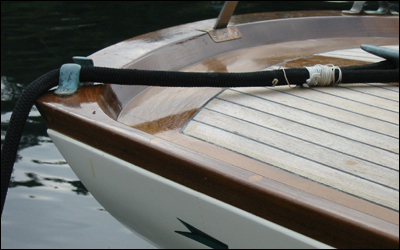 The tiller steering was replaced by pedestal steering when a small aft cuddy was added in the mid 1960's. A number of auxiliary engines inhabited the engine room with the current resident being a Yanmar 1GM10. 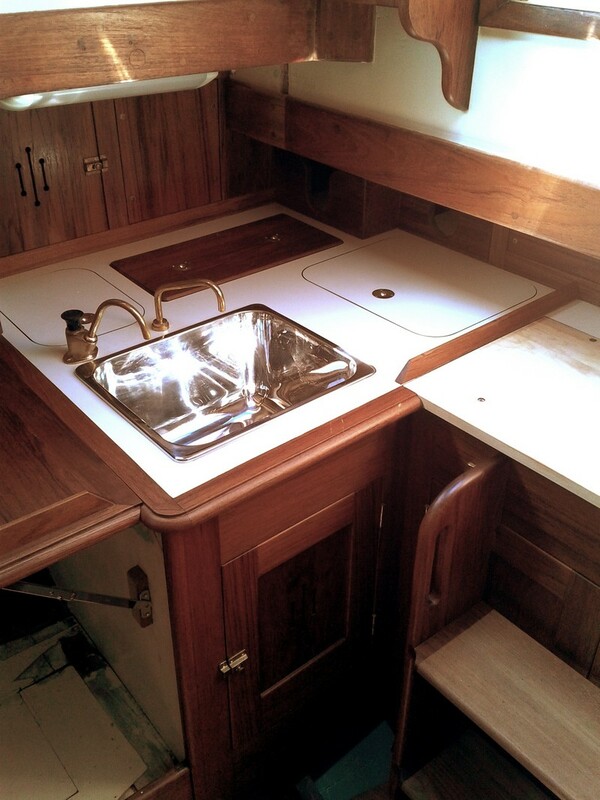 New teak decks, cockpit and galley.